My Mom drove up from Florida on Monday Sept. 28. 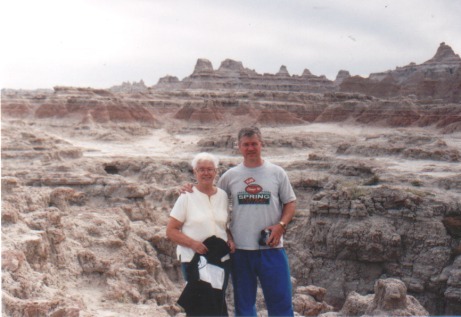 She, Melba and I pulled out the following morning and drove to Council Bluffs, Iowa. 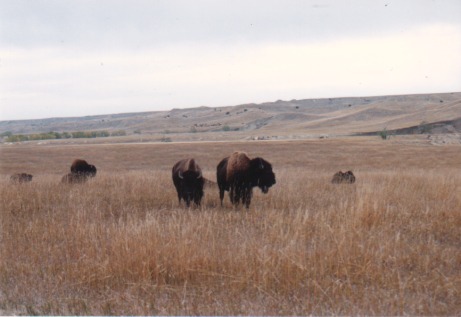 The next morning we drove to Badlands National Park in South Dakota. 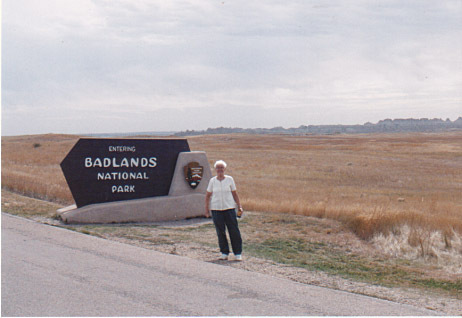 We left Badlands that afternoon in order to get to Mt. 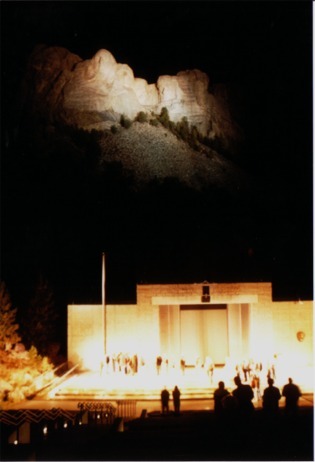 Rushmore in time to see the evening lighting ceremony. It was a very nice ceremony with a tribute to veterans in attendance. 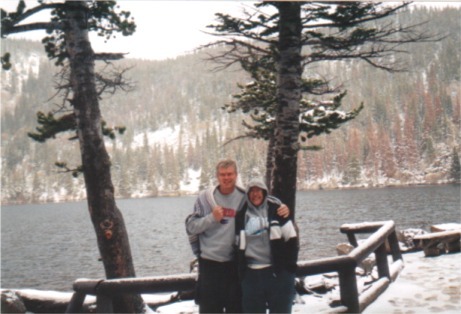 We awoke the next morning in the Black Hills to a light snowfall. But it was enough to make the roads a little dicey. 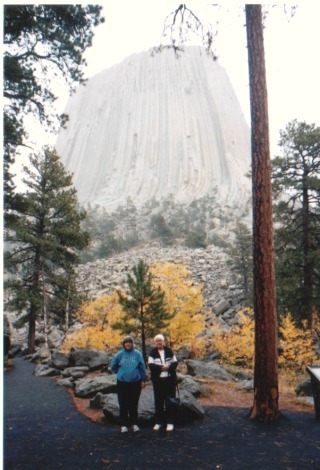 We drove to Devil's Tower in Eastern Wyoming. 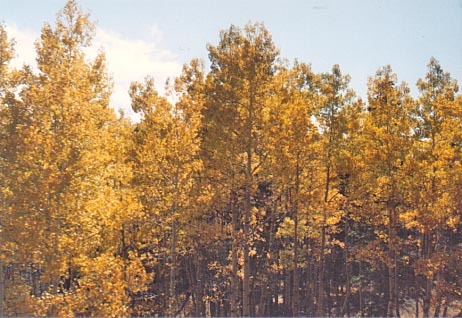 It was pretty under a light snow and with some golden aspens. 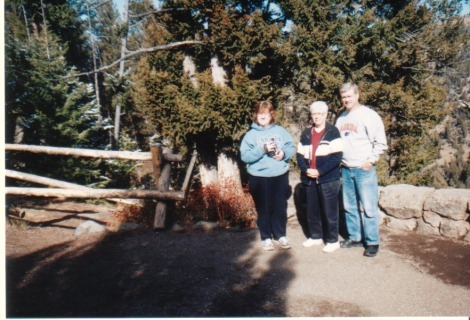 We left there to drive to Beartooth Hwy on the Montana/Wyoming border. Unfortunately, the snowfall was more substantial and the highway was closed. 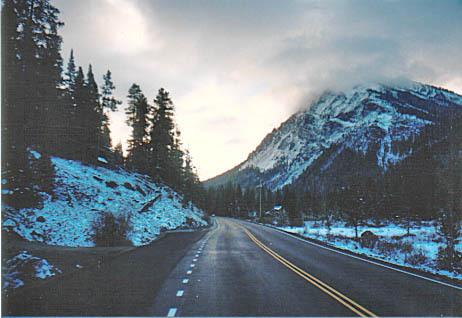 We had to take another, lower altitude route called the Chief Joseph Highway. We spent the night in Cooke City and awoke the next morning to this beautiful setting. 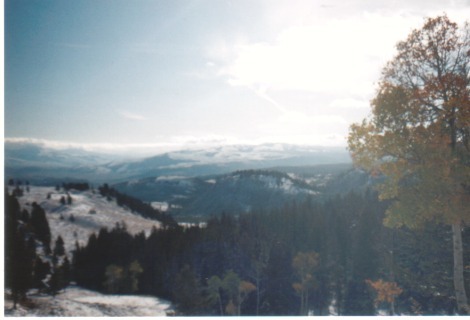 The drive into Yellowstone was beautiful with snow laced pines and some color in the aspens. 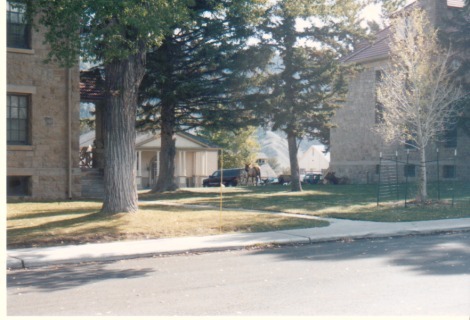 At Mammoth Hot Springs, elk were wandering all over, even between the buildings. 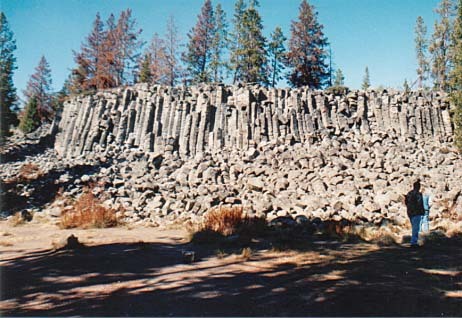 Here are some basalt cliffs in the park. 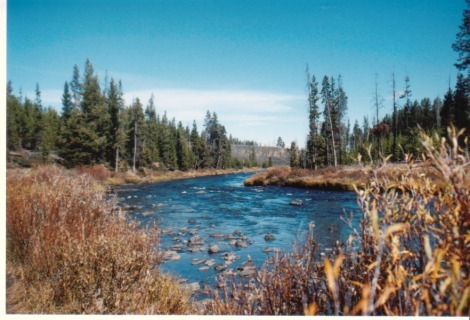 Beside the cliffs was this lovely creek. 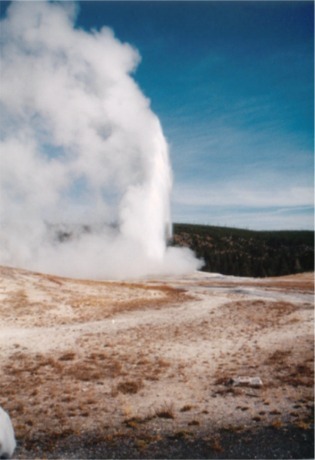 Here at a roadside pullout, you can see steam rising from unknown sources. 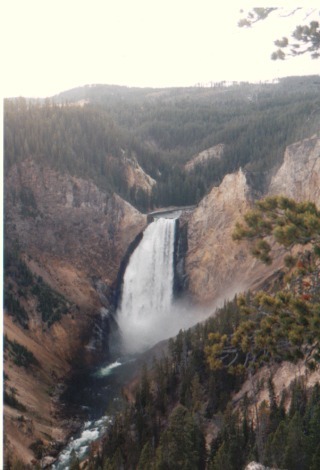 Then we saw the Grand Canyon of the Yellowstone featuring the Yellowstone River and the lovely falls pictured here. 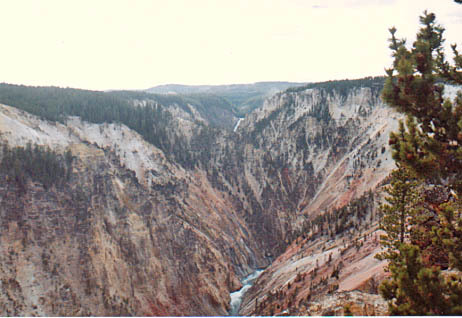 Here's the same canyon farther downstream. 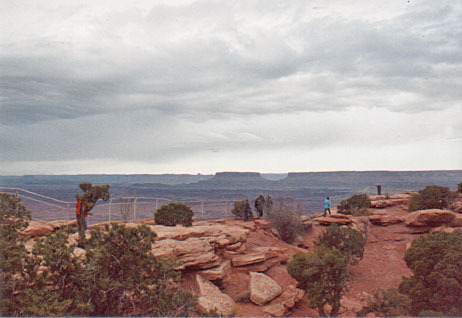 You can see the falls in the upper middle of the picture. 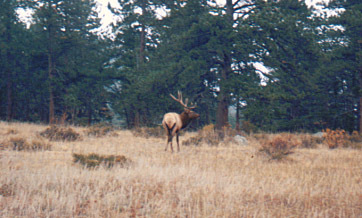 We saw more elk than anything else. 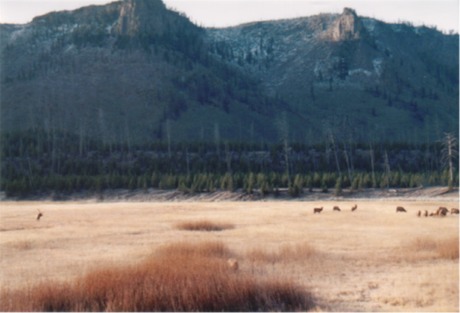 Here, there's a bull elk off to the left bugling to the herd of females on the right. The sound is really cool! This picture needs no introduction. While waiting for the eruption, we saw the gorgeous Old Faithful Inn (see other photos here). 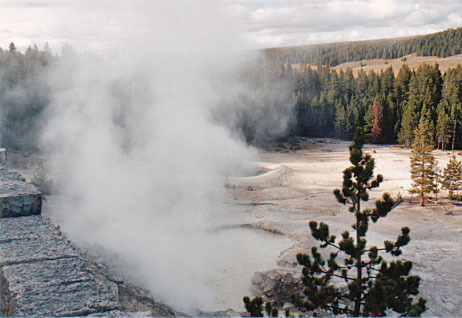 Here are neat mudpots and steam vents. 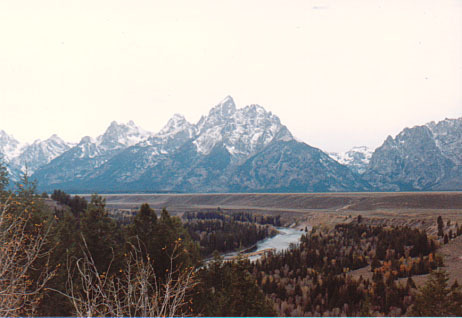 The next day we traveled to Teton National Park. 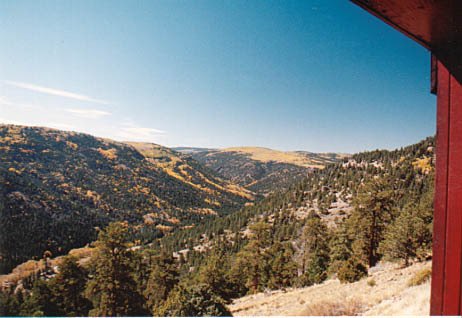 We were hoping to see some bright fall colors but we were a little late in the season. 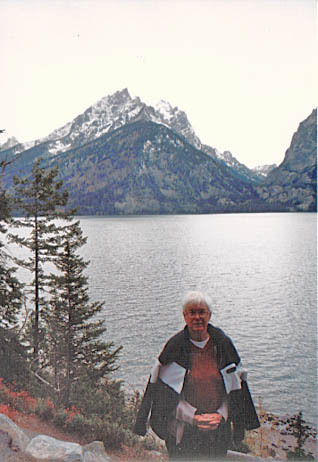 Here's a picture of Mom at Teton Lake. 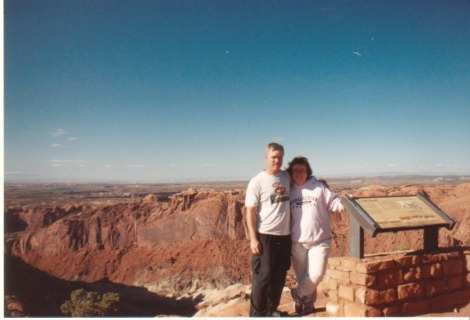 Here we are at a mountain top vista. 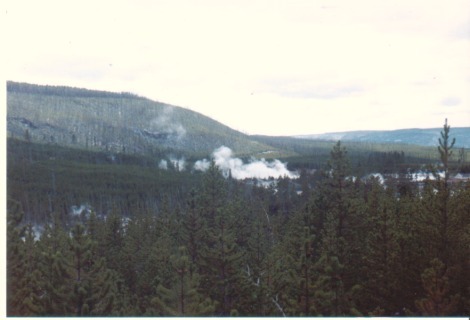 The next day we drove to Rocky Mtn N.P. Some of the roads were closed but we were able to drive to Bear Lake and man was it worth it! 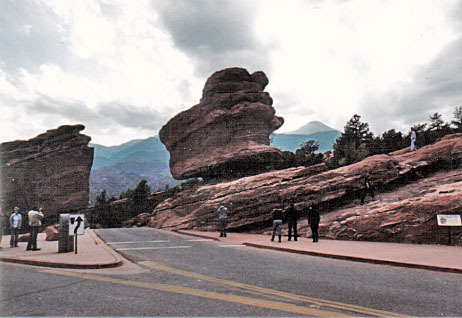 The next day, we kept driving South to Garden of the Gods in Colorado Springs. We then went to see Pike's Peak but we were too late in the day. 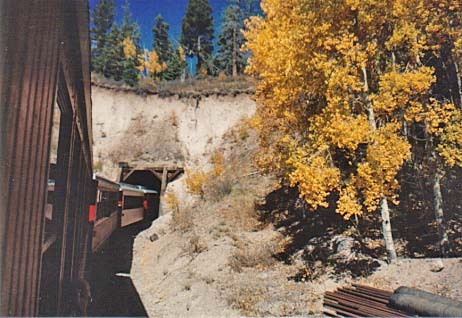 The road up the mountain closes at 3 p.m. 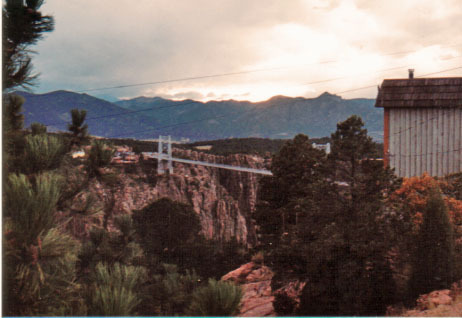 Instead, we went to see the Royal Gorge Bridge but it was a private attraction and decided to skip it. 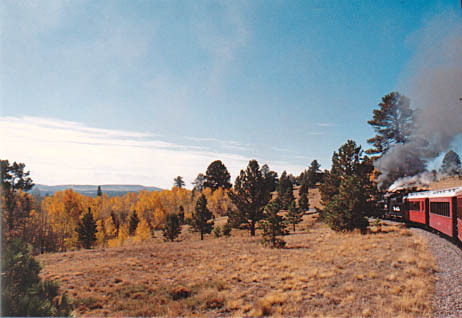 The next day we drove to Southern Colorado and caught the Cumbres & Toltec Scenic Railroad for an amazing 6 hours train ride. 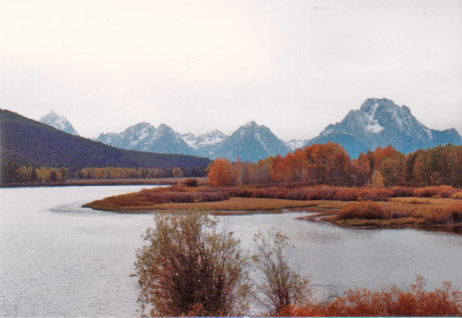 We were really hoping for some fall color and we were not disappointed. 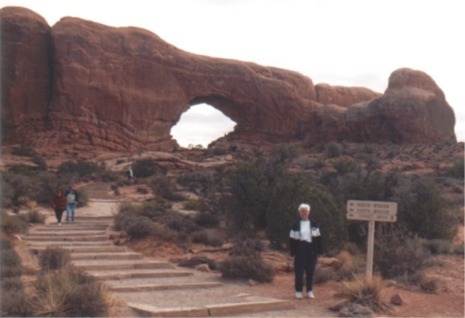 The next day we drove west into Utah and Arches N.P. 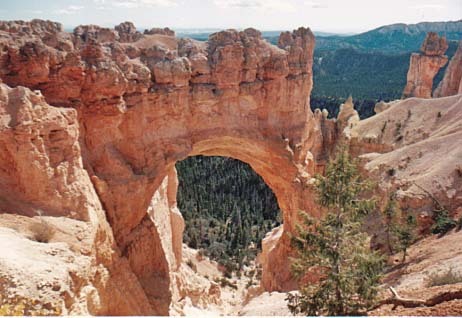 The next day we wnt to Bryce Canyon N.P. 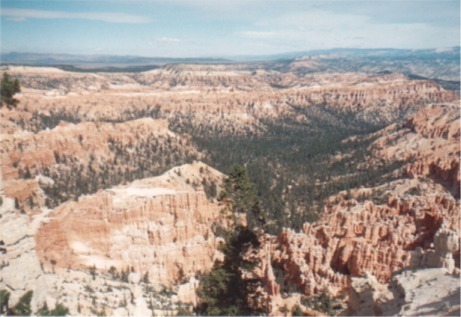 Nearby was Zion N.P. 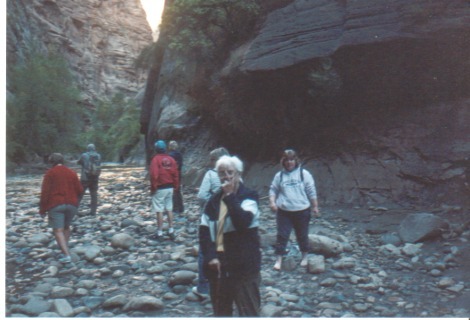 Mom was able to do the Zion Experience hike and wanted to make sure we took her picture at the end of the trail. 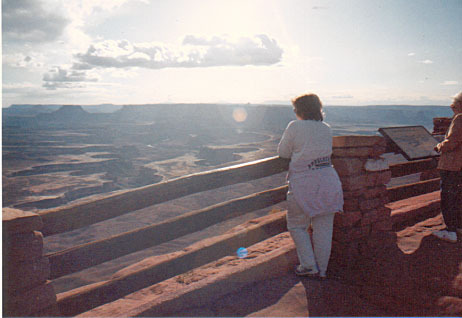 The next day we drove south to the Grand Canyon. 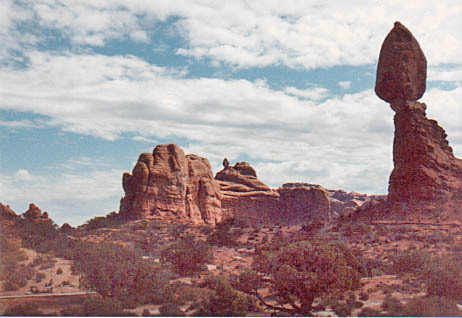 We had booked a helicopter trip but had difficulty with the provider. 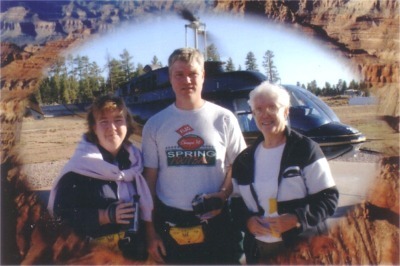 After many demands we finally got on a copter but for a shorter duration (25 minutes instead of 50 minutes).